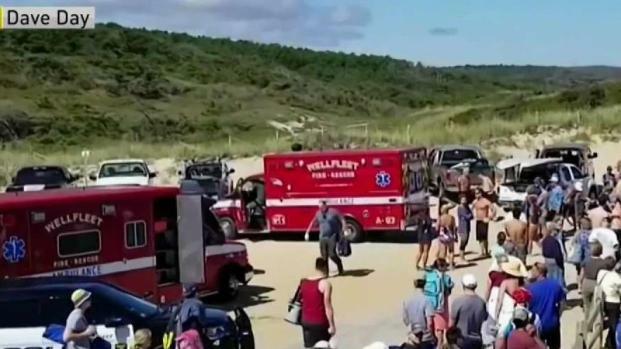 Newly released 911 calls paint a vivid picture of the chaotic scene at Newcomb Hollow Beach after a shark attack Saturday that claimed the life of a 26-year-old Massachusetts man. The calls, obtained by the Boston Globe, were received from people on the beach in the immediate vicinity of where the incident occurred and others who were further away. 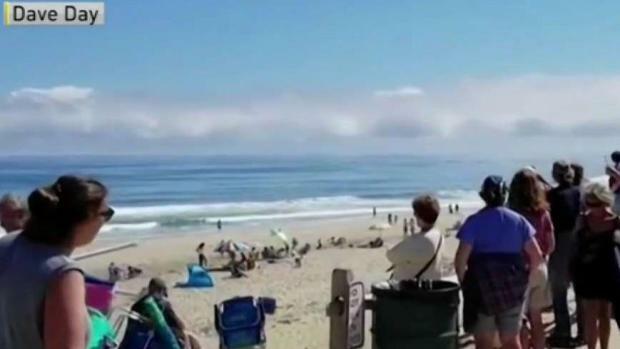 "Hi, I want to report a shark bite at Newcomb Hollow Beach," said one caller. "I've just seen a surfer get bit by a shark," said another. "I saw the whole thing happen. It was a hell of a hit." From Cape Cod to Revere, people are expressing their sympathies to Arthur Medici's family; and experts are discussing sharks after the 26-year-old man was killed in a shark attack on Saturday. 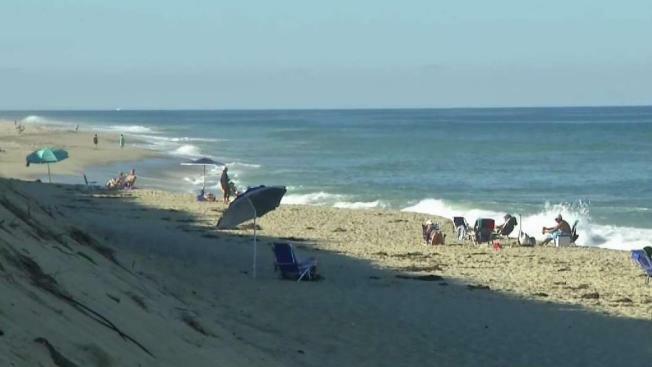 Arthur Medici of Revere was boogie boarding off Wellfleet when he was attacked by a shark just after noon on Saturday. He later died at a local hospital, becoming the state's first shark attack fatality in more than 80 years. Medici moved to the U.S. from Brazil four years ago to pursue a degree in engineering, Brazilian news outlet OGlobo reported. He was a student at Bunker Hill Community College and worked as a pizza delivery driver for a local restaurant. Witnesses at the scene told officers that Medici and another male were in the water about 30 yards off the beach boogie boarding when the attack occurred. They said Medici was wearing a wetsuit and flippers. Joe Booth, a local fisherman and surfer, said he was on shore when he saw Medici and his friend boogie boarding when the attack happened. He said he saw Medici aggressively kick something behind him and a flicker of a tail from the water. He realized what was happening when the friend came ashore dragging his injured friend. "All of a sudden somebody yelled 'Shark! Shark!' and we noticed a big crowd at the end of the beach," Tony Sherwell said. A group of people, including first responders, carried Medici down the beach to the parking lot, giving him chest compressions on the way to the ambulance. 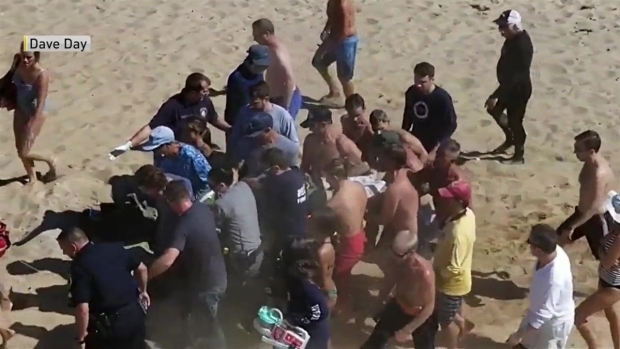 The attack was the first fatal shark attack in Massachusetts since 1936, and the second shark attack this season. There have been frequent shark sightings this summer along the outer Cape, often leading to beach closings. The National Park Service, which manages many of the picturesque beaches where white sharks tend to congregate, said it closed beaches for at least an hour about 25 times this year, more than double the annual average.